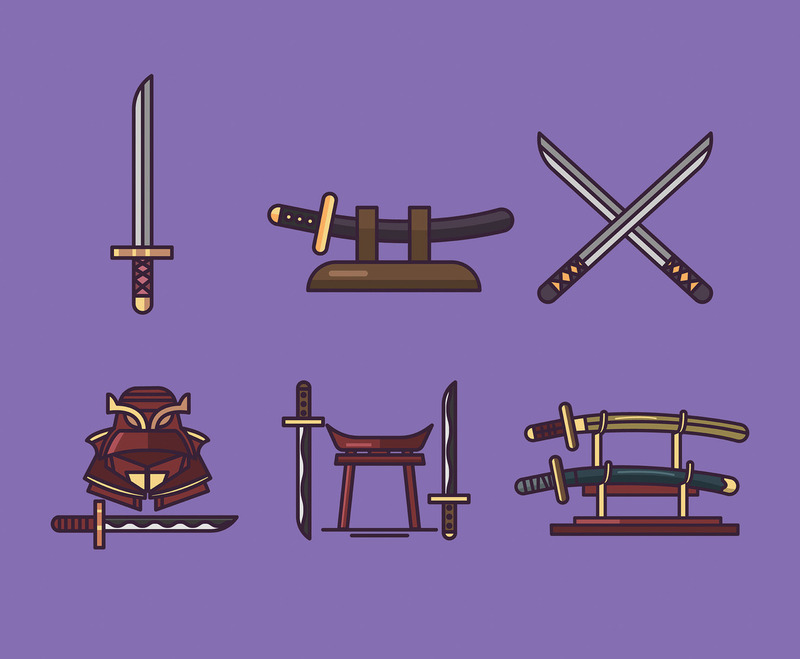 This package depicts six icons of katanas and other objects related to it, such as kabuto (samurai helmet) and katana stands. I hope it's useful for your design projects. Enjoy!